The Budget and Billing Rates are determined by the Billing rate card. The Billing rate card lets you have a firm control over the billing rates in your business and lets you manage all your rates in the one place. 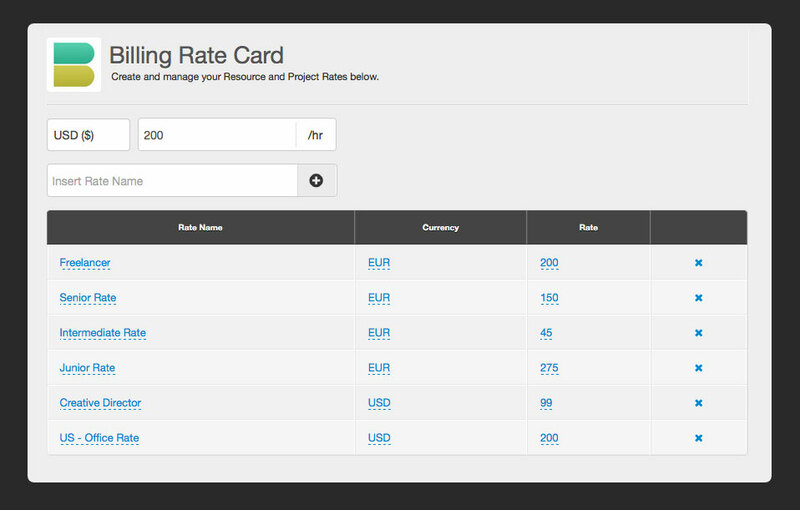 Use the rate card table located in settings to add new rates in multiple currencies. Once you add a rate to the card, it is saved and can be used in the system. Billing Rate Card can be found in Settings. You do not need to define when adding a rate whether the rate is belonging to a resource or a project, you can either define that in the name of the rate or just add generic rates and later choose them on a project or resource level. You can add as many rates as you like and as many different combinations, giving you max flexibility to define a workflow that suits your business. You can choose to set a budget on a project in hours and/or a cash amount. Normally you would choose 1 of these options, but have the flexibility to add both. Adding a budget to a project will set this amount in reports as a reference point. The billing rates on the project are determined from how you define the rates after this. (See below). The Project budget can be set in any of the currencies defined in the dropdown. If you can’t find your currency please let us know and we will add it for you. Each rate defined in the rate card also has a currency associated with it. To be flexible you can choose a different billing rate currency than the project budget. Please be careful when using this feature as you will have a mixed currency in your reports. We do flag this when adding up totals for you, but it is always good to understand when working with multiple currencies in the same project. 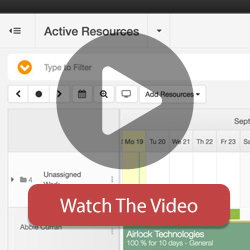 To add a resource rate, edit or add a new resource and then choose the “resource Rate” option. From here you can define the default rate for this resource. When you need to use a rate in a Project, then you can easily pick from a predefined rate pulled from the rate card, making it much easier to handle your rates in one place. When editing or adding a new project, click the “Budget & Rates” option and from here you will be able to choose the rates. Furthermore there is even more flexibility if you install the resource billing rates extension. To do this you will need to install the Custom Resource Billing Rate Extension. This extension makes it really simple for you to assign multiple rates for a resource per project. 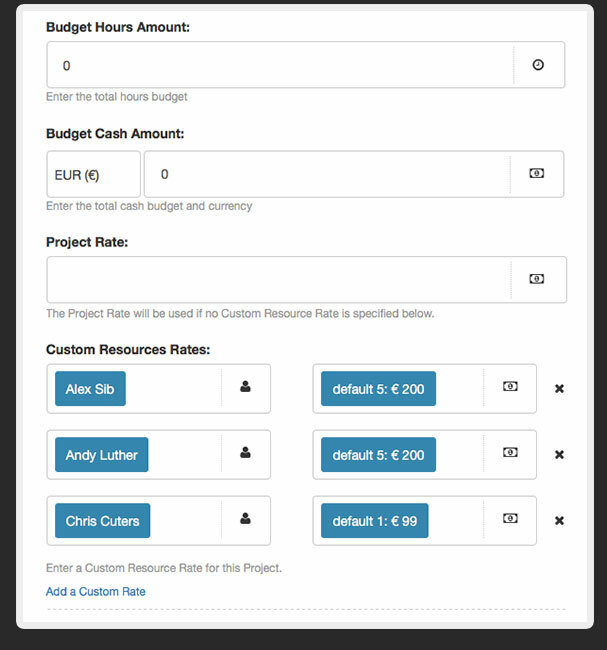 There is a new button added to the project allowing you to add a new “Custom Resource Rate” which allows you add resource to the project using their default rates or a new one you choose. From the Project you then have the added flexibility to add resources to the system at a special rate other than what their standard resource rate is. i.e. allowing varying rates for resources on multiple projects. If you do not wish for a resource role in Hub Planner to have access to the billing rate information, rate card or budget features, you need to make sure the role permissions disallow this. Navigate to the Settings -> Roles page and check the boxes relating to the rates on the correct role.